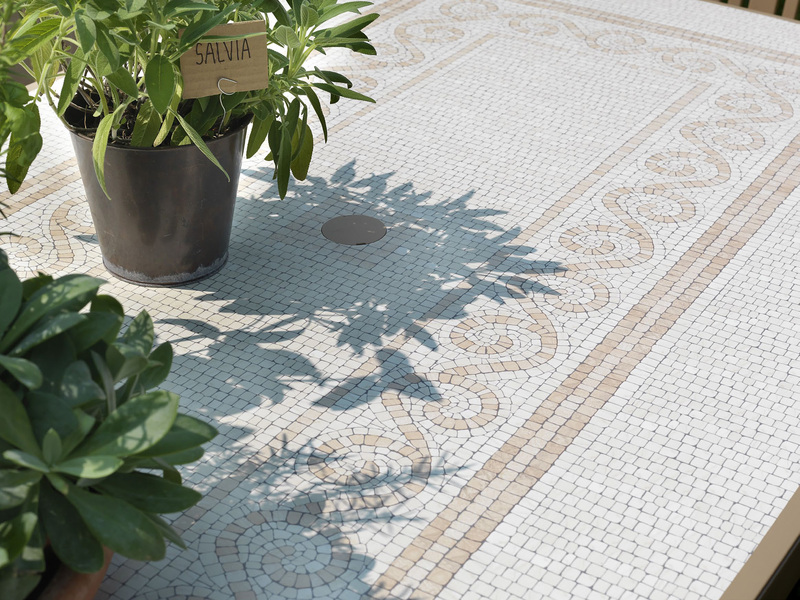 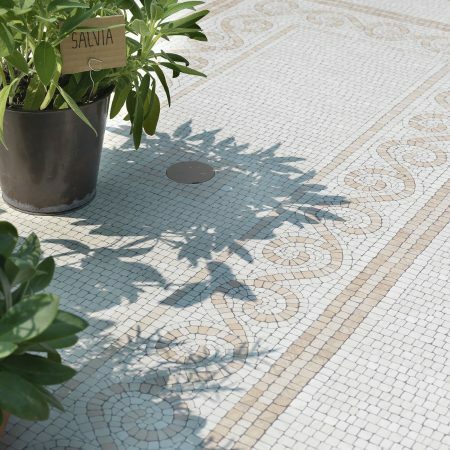 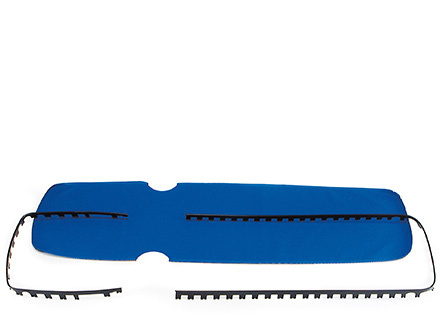 The Havana Toscana 165 is made entirely of recyclable resin, is very easy to assemble and also has a lovely mosaic designed foil on the top to finish things off. 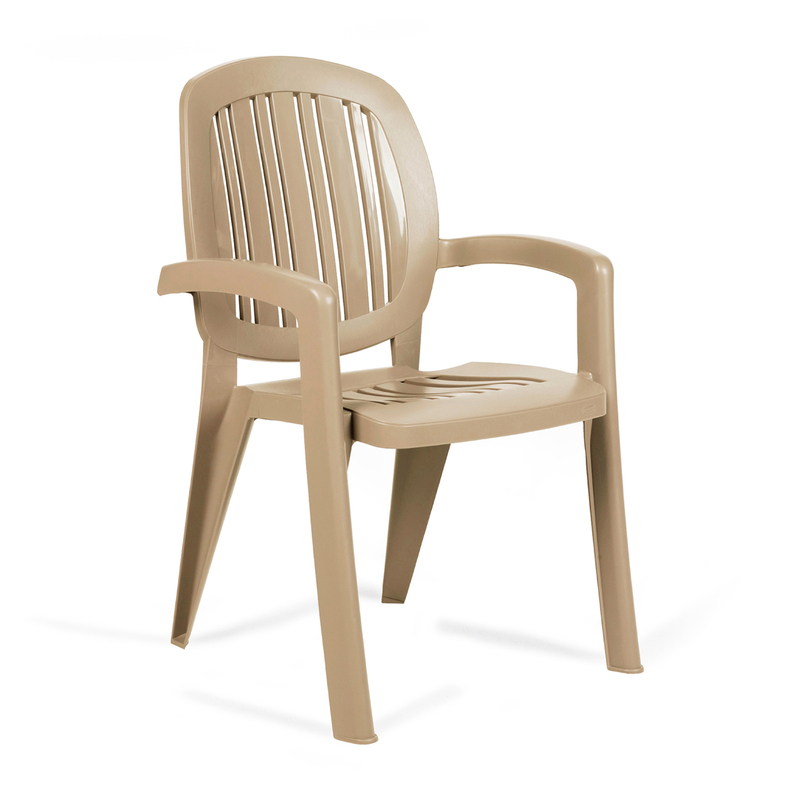 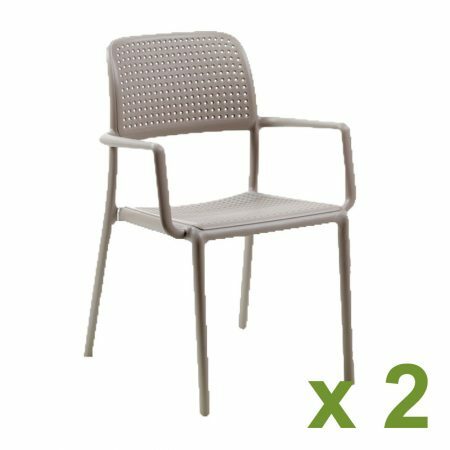 The matching Creta chairs stack and are very easy to clean. 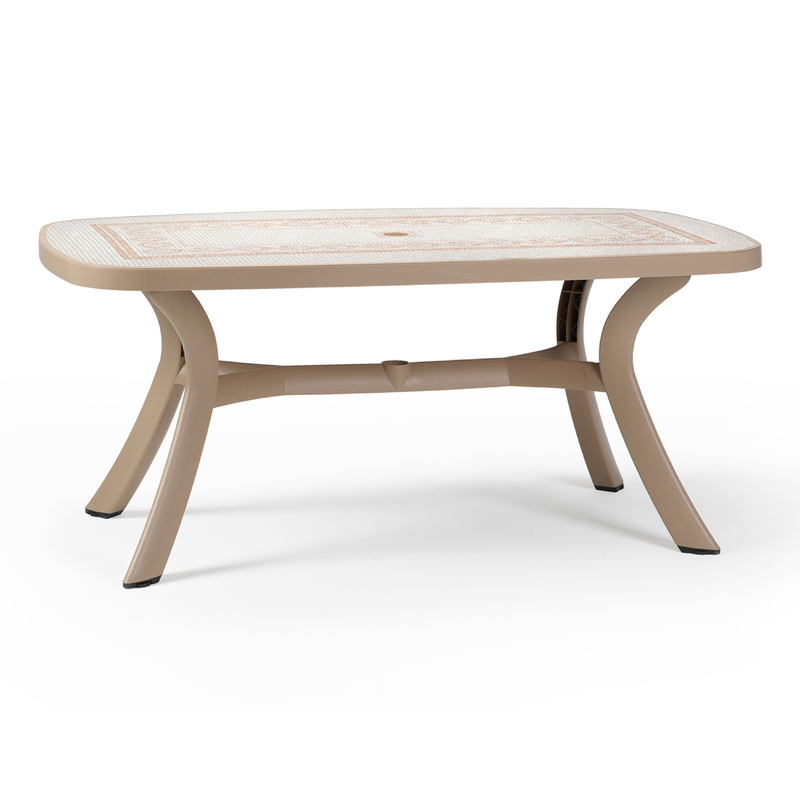 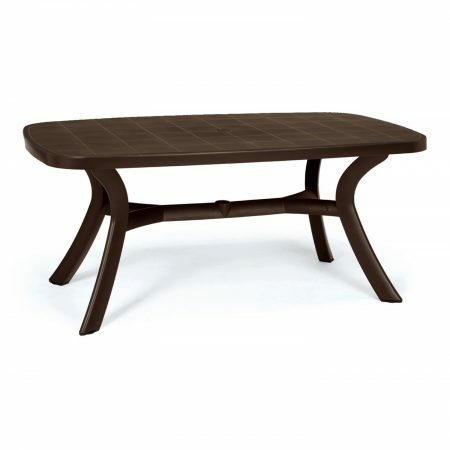 The new Havana colour is a warm light brown / tan colour and the new table top decoration matches beautifully. 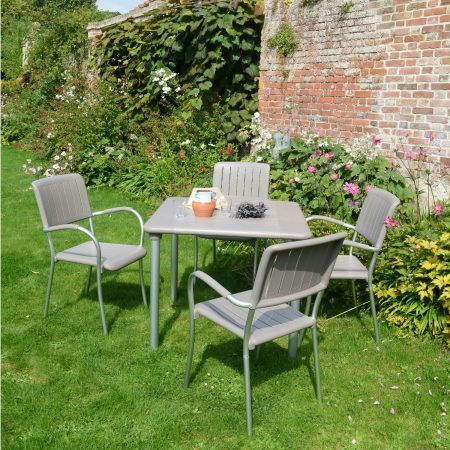 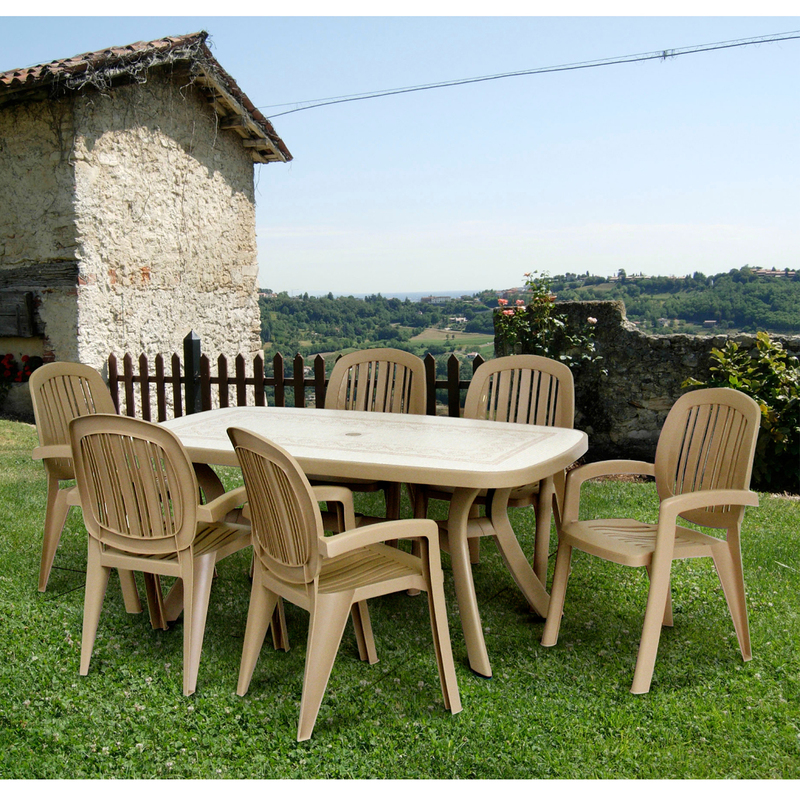 The Toscana 165 table comfortably seats 6 people and the stacking Creta chair looks great in this new colour so it makes the perfect outdoor dining set.